I think I’ve said this a million times on my blog, but I.LOVE.SCOTLAND. There’s something magical about the country, from it’s peaks, to it’s castles, it’s cities to it’s culture. I might be clutching at straws by saying my surname is Scottish and I’m pretty sure I have Scottish family a few generations back, but I can’t shake that feeling of home every time I return to Scotland. Kayle and I made a pact last year and we’re determined to visit the whole country, with last May dedicated to exploring the Highlands (which you can read about HERE and HERE). I started a new job back in October, so we used a few days between Christmas and New Year to have a mini break in Aberdeen, the city famed for it’s oil industry. I might have initially seen the attractive flight price, but I was also eager to explore the east side of the country, a region I knew very little about. 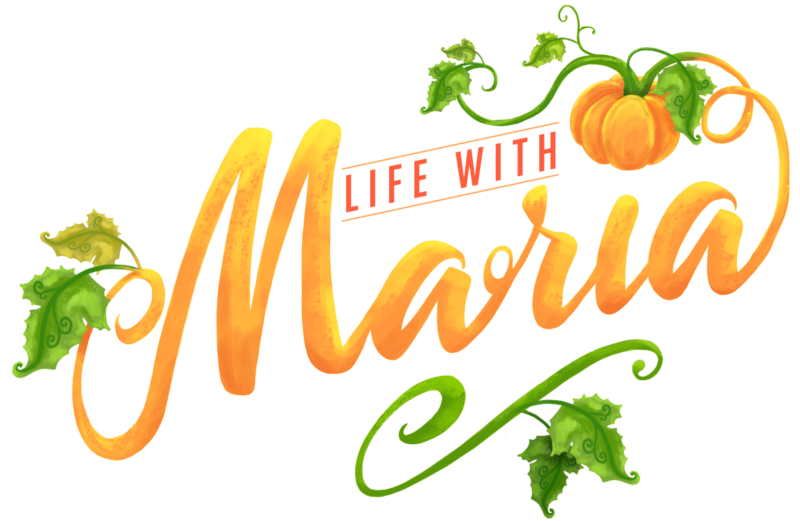 As I always do when visiting somewhere, I took to Twitter, and asked friends and family about the location – I was so surprised to hear mixed reviews! Nevertheless we packed our bags and headed off to the city I can now say I’m firmly in love with! 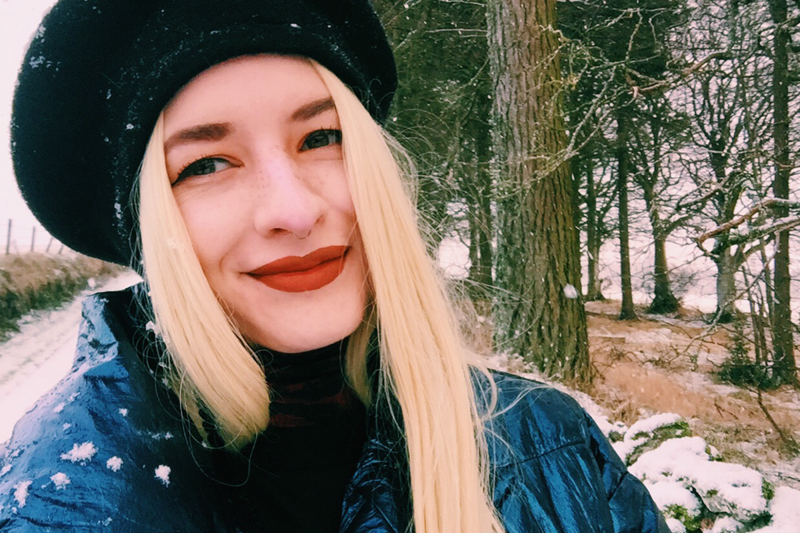 If you’re looking for a city break WITHOUT the tourists, Aberdeen is yo’ gal. I’ve visited both Glasgow and Edinburgh, and I think I met a local all of twice; I was really disappointed. 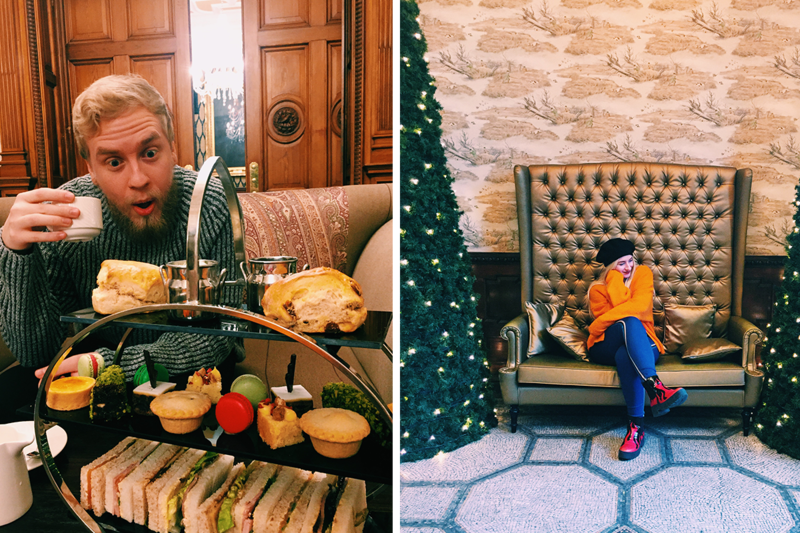 Aberdeen ticked all the Scottish experience boxes, from Irn Bru on tap to that gorgeous accent and THE FOOD. Although it’s famed for it’s oil industry, it doesn’t impact your experience when it comes to discovering the city. I hate buzz words at the best of times, but Aberdeen really is an up-and-coming city. Everywhere you look, snazzy new developments are popping up, we also spent time in the swish Union Square shopping centre (hello sales) and with plans to completely rejouvenate the historic buildings, it’s clear there’s a lot of money and care being put into preserving the old, and introducing the new. 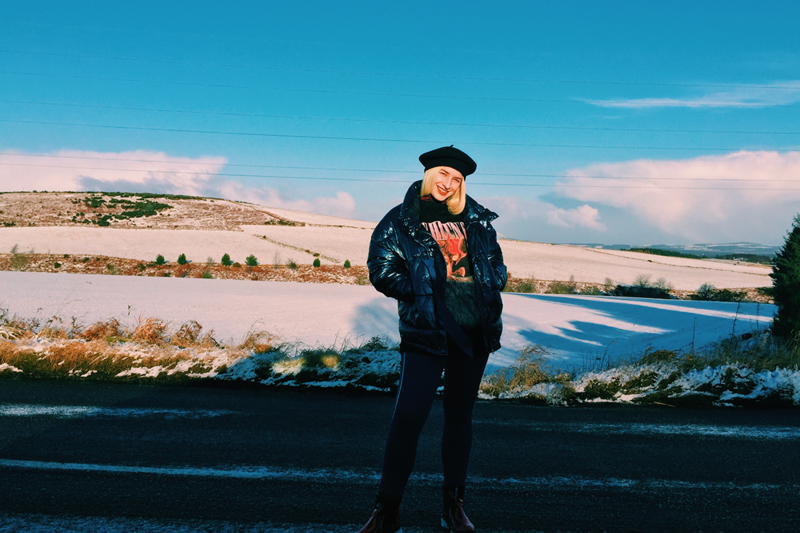 I do love a city, but I often enjoy the rural side of Scotland, so I wanted a trip where we could do a bit of both. 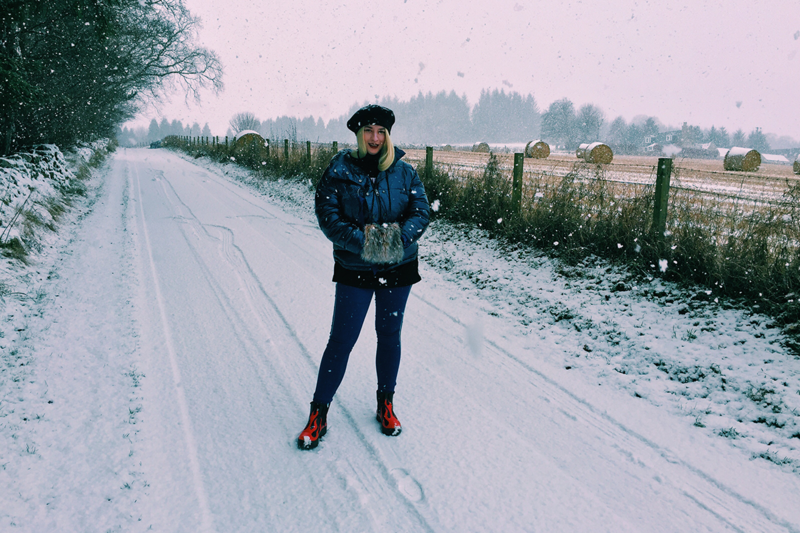 It was so easy to zip around Aberdeen (we hired a little Fiat 500, maybe not the best in the snow!!) 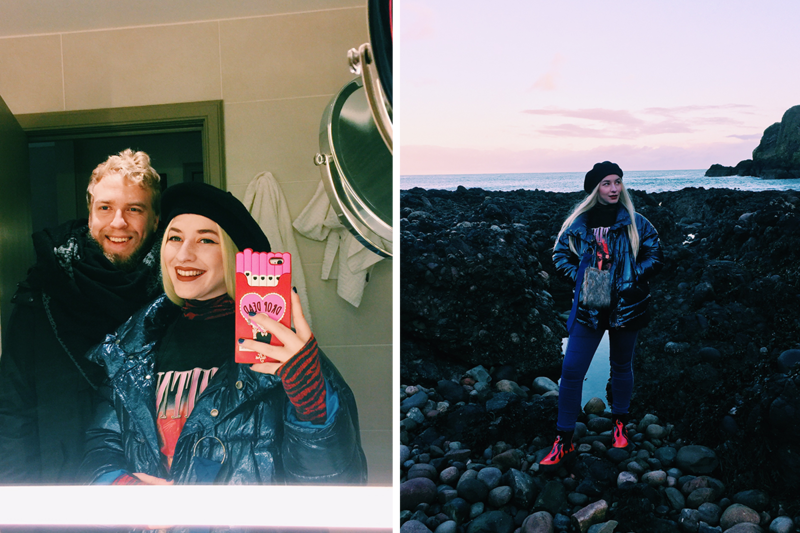 and we explored the surrounding area – here are my top places to visit. This was by far my favourite place, and maybe even my favourite castle ever?! (I’ve seen SO many). 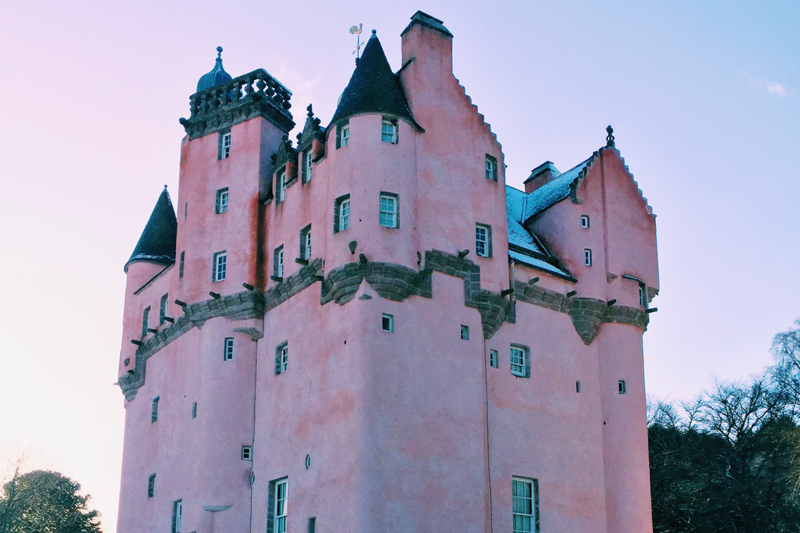 A pretty pink dream perched on the land overlooking Aberdeenshire, it was home to the Forbes family for 350 yrs until 1963. It’s compact, cute and is said to have inspired Walt Disney, which made it extra magical for me. 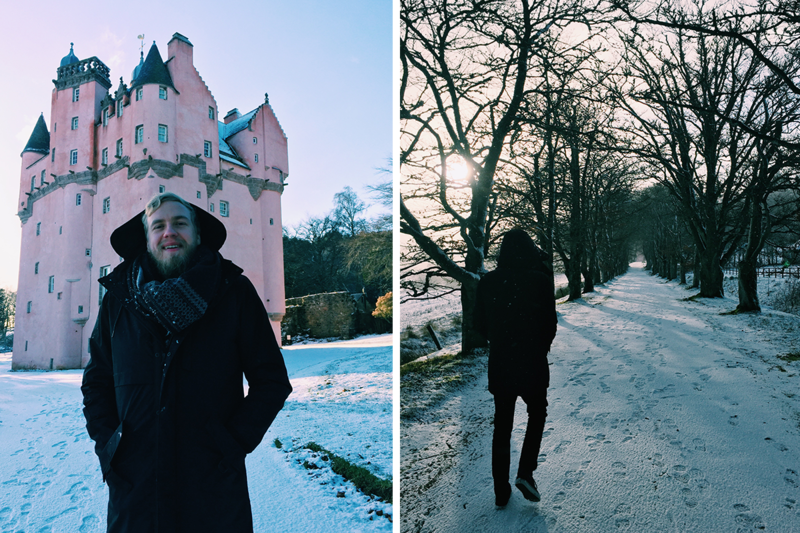 When I visited in December the castle itself was closed, but the grounds we super pretty to walk around. You can take a tour of the castle in the warmer months, these are guided and there is a little fee. 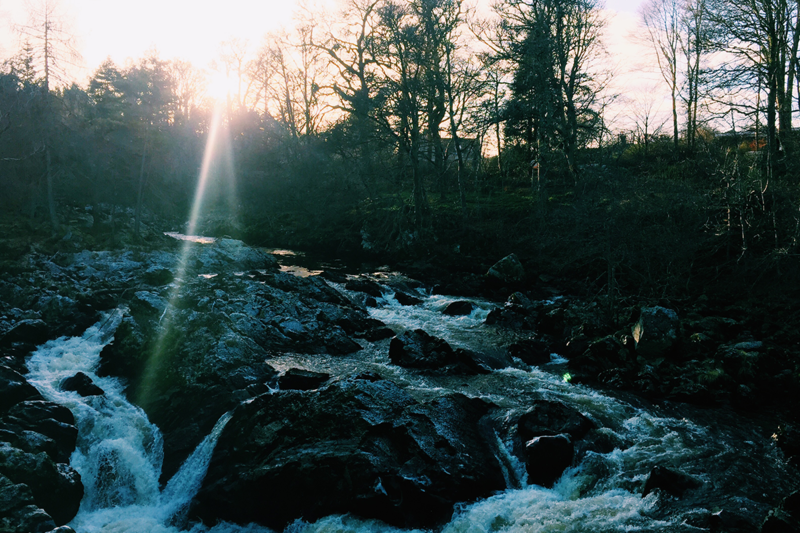 Right near Banchory lies the Falls of Feugh – I had discovered this site when looking for things to do in the area and I’m not going to lie, I had envisioned huge waterfalls *snort*. I wasn’t disappointed when we arrived and walked to see the falls however. They were stunning especially in the winter sunlight, and even though they were fairly small, we spent a little time trying (unsuccessfully) to spot wild salmon jumping! There’s no admission, this is purely just a natural sight to behold. We also grabbed some tea in the nearby restaurant which initially looked like someone’s house, but ended up being an award-winning eatery! 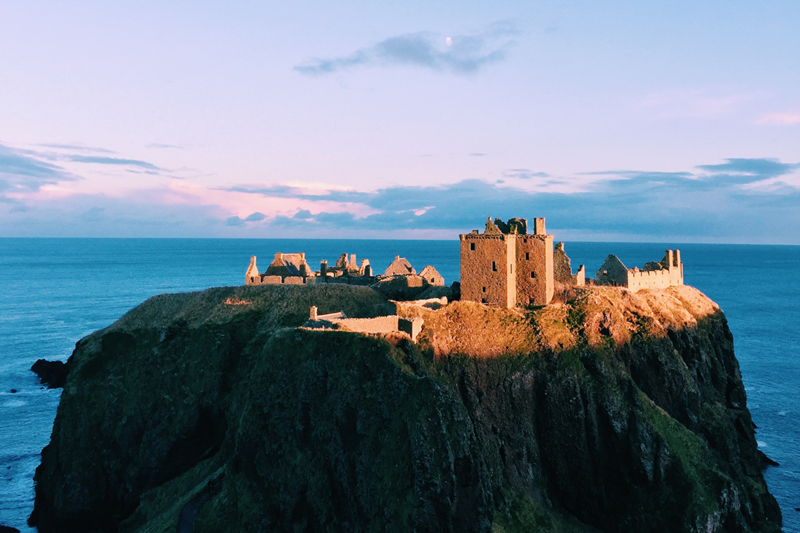 At around 3pm on our first day we drove over to Dunnottar Castle, a ruined fortress near Stonehaven. The weather was super chilly, but the sun burst through some clouds and a beam shone directly on the structure making it otherworldy. The walk to the ruin is stunning, down a hill, by the beach (which we went on) before heading up the stairs to enter. Fortified since the Middle Ages, the castle is coated with history and a fascinating location. Entrance is around seven pounds, but we visited when the castle was closed. If you know Kayle and I, you’ll know we LOVE beer. 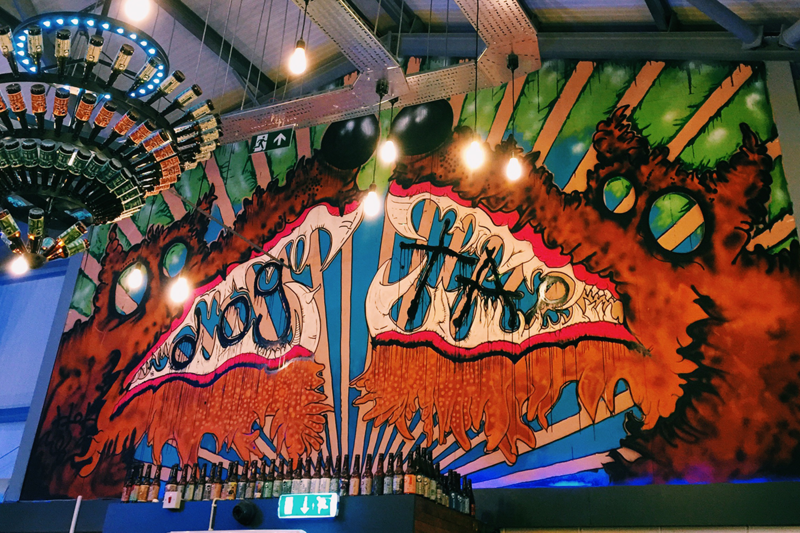 BrewDog is something we always reach for, so we couldn’t wait to discover how our fave drink was made. 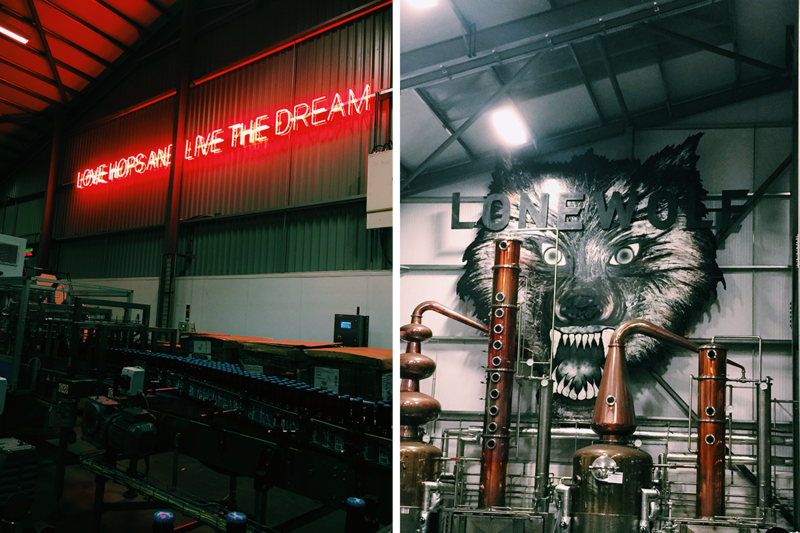 The tour was around 15 pounds each, but that included several tasters and to me the tour was worth it (especially when you consider the whisky tour we went on in Edinburgh was 50 pounds!!). It was relaxed, informative, and obviously tasty. 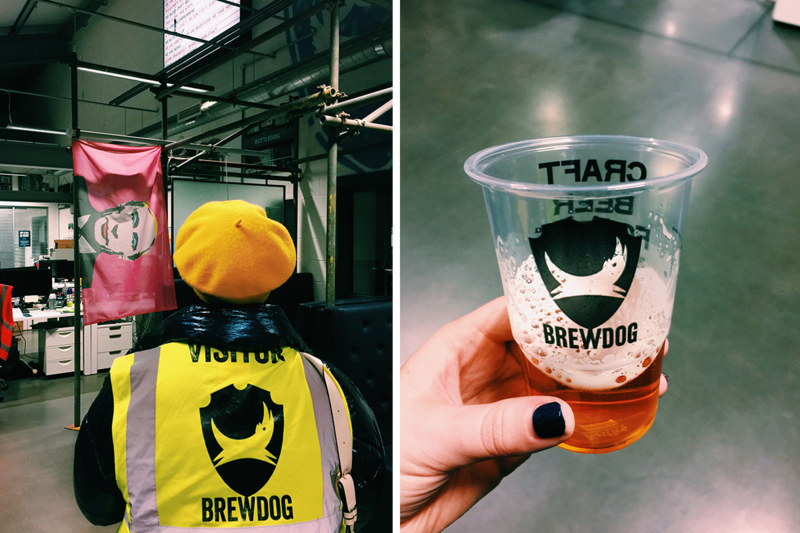 It was a no-holes-barred experience, which made it really immersive and Robyn who showed us round was lovely. Afterwards there was a really cool bar you could sample more of the beers in, however we took our bottles home and decided to do a spot of drunk packing! (It only takes one for us guys…). Although we wanted to sightsee, we also wanted to relax and see a little bit of the city itself. We decided to eat at Maggie’s Grill which was recommended to me by a couple of locals and it didn’t disappoint (it’s creole theme and HUGE burgers put me in a blissful food coma). Following that, we headed to the Union Square shopping centre, where we had booked to see a movie (Jumanji FYI) in 4DX, a new feature which includes 3D mixed with moving seats, lights, scents, wind and other crazy , amazing elements. It was super immersive and although I wouldn’t usually go to the cinema while on holiday, I’m so glad we did because we later found out that 4DX is only available in 16 cinemas in the UK (none of which are near me!). The best part of a mini roadtrip, or having a car in general when in Scotland is that you can just stop anywhere (provided it’s safe and there’s a place to pull over!). There were so many quiet spots Kayle and I found with gorgeous scenery and we were simply able to stop and take it in, snap a few shots and move on. It’s all about those little moments! I booked our hotel through Booking.com, where I found a really good deal on a no-refund room for our duration just three miles from Aberdeen called Mercure Ardoe. It might have a chain name, but boy was it a personal, and omg so Scottish (which is basically what I was looking for!). 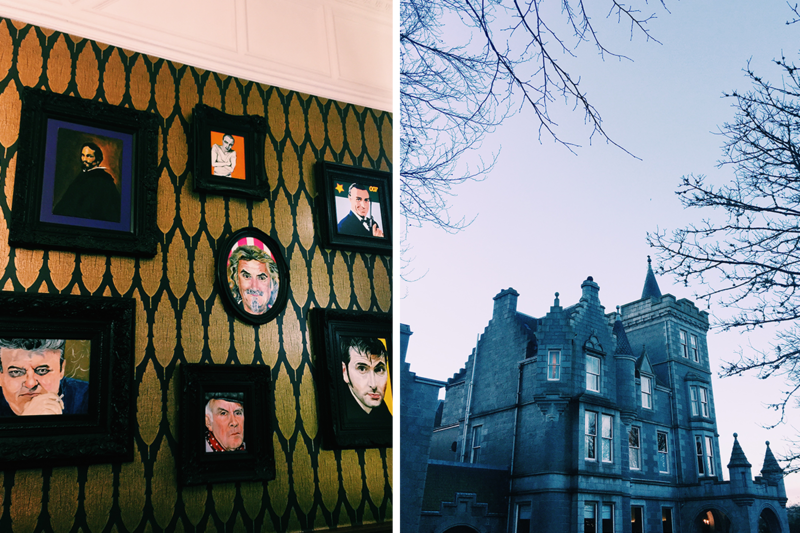 Tartan touches, a castle-esque exterior and framed images of bagpiping men adorned the walls. I was in HEAVEN. The lovely staff were more than accomodating, and the manager was kind enough to gift me an afternoon tea on our first day, which we REALLY appreciated, it was magical. To top it off, they also left some pretty tasty fudge in our room (which I ate all of, sorry Kayle). 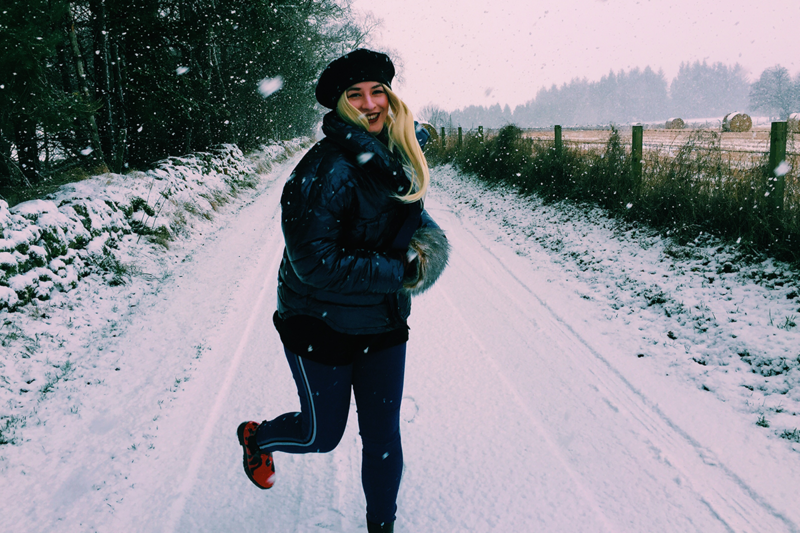 I think the place you stay is super important, regardless of whether you’re just using it to crash and lay your head – I couldn’t recommend the Ardoe more, especially it’s spa facilities which we spent a lot of our time using!! We flew from Gatwick airport with Easyjet in December and an early morning flight going and returning was as little as 14 pounds! Getting from the airport to our hire car (I don’t want to name the company as I don’t want to promote them, is that mean? ugh who cares) meant we had to get a lift with a driver into the centre of the city which took around 20 mins. Although it’s always the same issues with hire companies, the best piece of advice I can give you is this: Basically when you pay for a hire car online (I think we paid about 80?) this doesn’t include the excess which they try and charge you for, which they said was 17 pounds a day. This takes the price up considerably, that on top of the deposit you have to leave for petrol could make the trip on the expensive side. Get yourself seperate excess insurance (I ALWAYS use the one recommended by Martin Lewis) and it only costs about 2.90 a day! If you have any questions about Aberdeen or Scotland in general, drop me a message! Those castles look AMAZING! I have a certain fascination with castles! This looks beautiful! I’ve always wanted to visit Scotland but I had never considered Aberdeen. I’ve never heard of it actually! Great post! Awe thank you Mary, it was such a pretty place! aren’t they just beautiful? 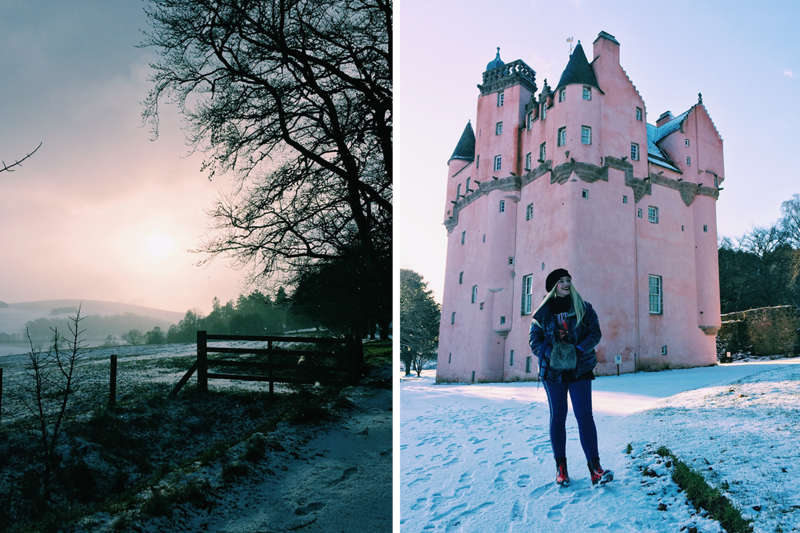 How gorgeous is craigievar castle?! It looks like it came from a medieval fairy tale! Also, I like your description of the city Aberdeen as yet relatively tourist-free but developing and innovating – sounds like the perfect mix for traveling! 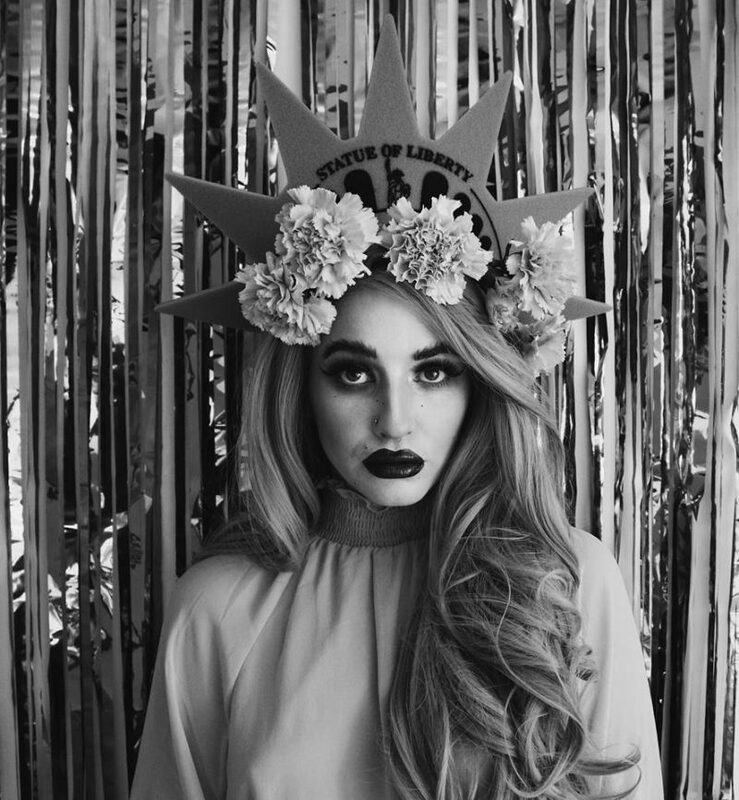 It was so fairy-tale like I’m still so obsessed with it! Scotland is amazing, if you come back, you must visit! Omg you need to plan one, it’s honestly one of my fave, if not my favourite countries in the world, it’s so underrated Madi! hehe I most certainly did girl, definitely recommend it, such a beautiful place!